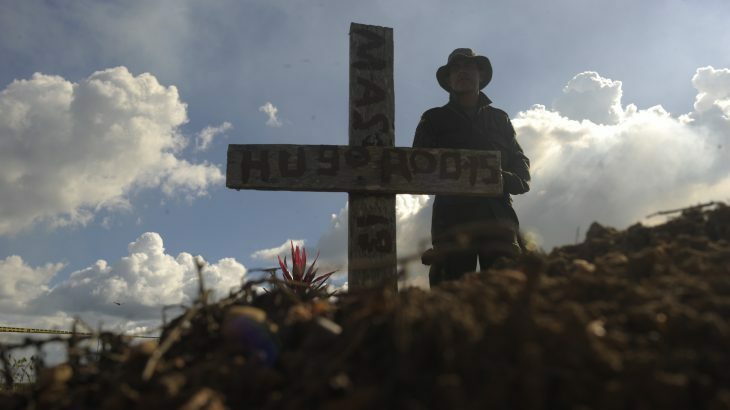 Victims of state violence committed during Colombia’s armed conflict have petitioned the national truth commission to investigate thousands of still-unresolved cases. The National Movement of Victims of State Crimes (Movimiento Nacional de Víctimas de Crímenes de Estado, MOVICE), which represents survivors and families of victims of violence, submitted a document entitled ‘Colombia Nunca Más’ (Colombia Never Again) which addresses the cases of 17,852 victims of state violence. The truth commission, whose full name is the Integral System of Truth, Justice, Reparation and Non-Repetition, was created under the terms of the 2016 peace agreement. It is composed of three main bodies: the Commission for Truth, the Search Unit for Disappeared People and the Special Jurisdiction for Peace (JEP). The MOVICE document covers widespread state violence and identifies almost 3,000 members of the security forces and other state officials accused of committing crimes against civilians. The list includes 31 majors, 10 generals, 16 military commanders, 856 police officials and members of the defunct DAS security service and other intelligence agents. Many of the accused are suspected of involvement with paramilitary groups which committed the vast majority of atrocities during the conflict. The document also includes the cases of 1,170 people who were disappeared by state agents.